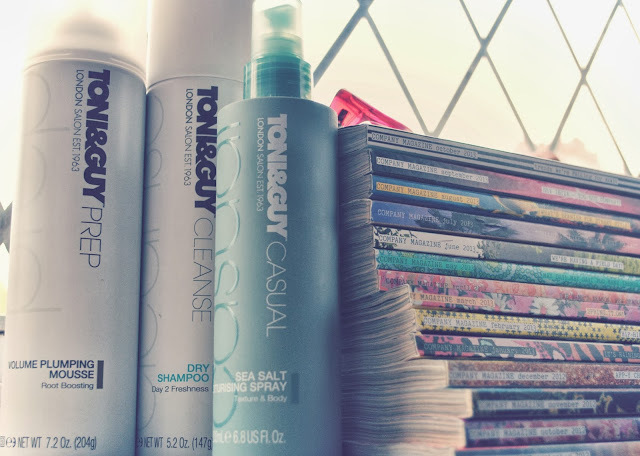 Toni & Guy - Boots; 3 for £12. 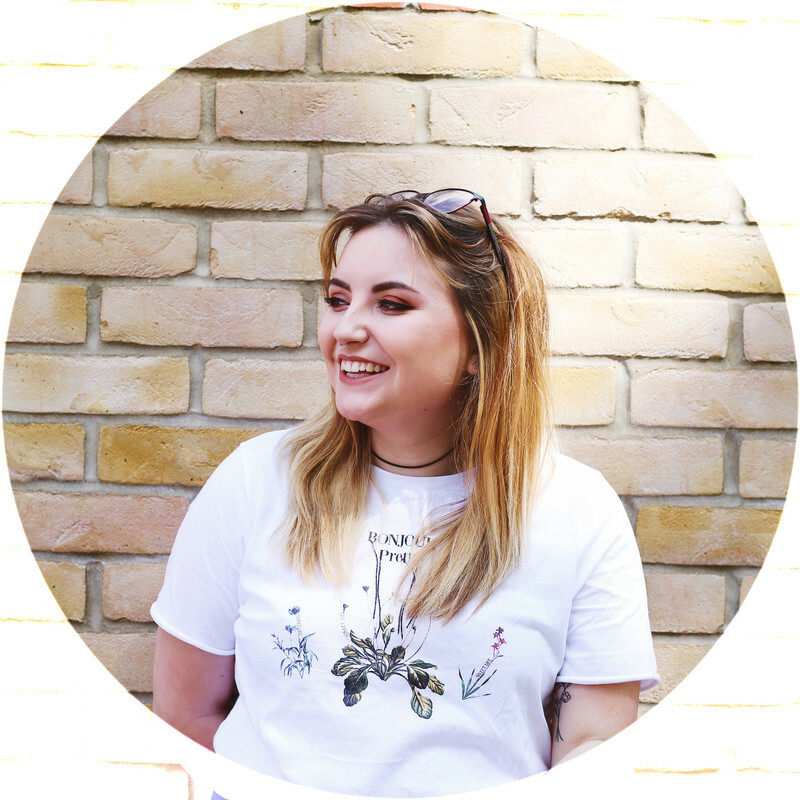 During a recent blogger chat on twitter, I asked for some help and the best hair products to give my hair some more volume and texture; after a few responses I wrote myself a list and headed to the shops to find all these brands. Initially I was mainly told to purchase a sea salt spray & that was exactly what I was planning on doing. 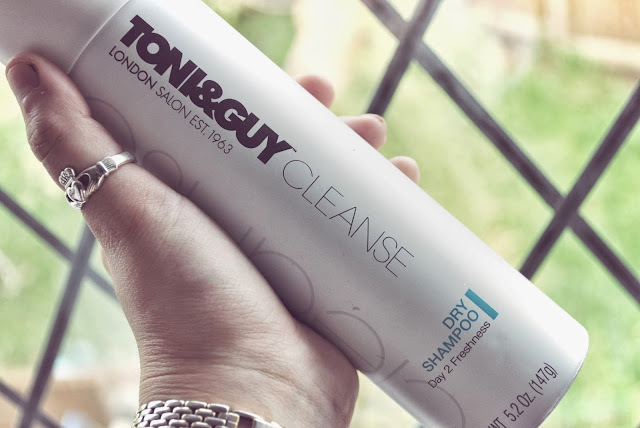 Toni & Guy was a brand amongst many, but was the brand I'd heard of the most and went ahead looking for this, knowing it was pricey I was comparing these with the rest but it was my lucky day and at the moment it's a 3 for £12 offer at Boots (with a free compact mirror). I've completely fallen in love & now see this as my life saver with this Dry Shampoo. I only picked it up to try and I find I'm always in need of that extra boost I get from dry shampoo, even the day I've washed my hair. 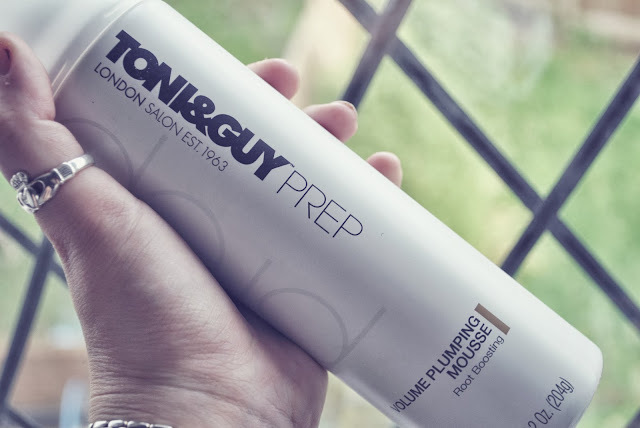 Not only does it give my hair that little bit of freshness, it also helped give my hair some texture and volume. My hair is very fine and soft so that extra bit of something always helps style my hair. Again, this was just the thing I picked up to make my three items for the offer. Because of my hair I'm finding all the ways to give it some more volume and I know that mousse can do the trick. Honestly I was a little disappointed with the end result with this but all the same I'll probably try it a few more time before completely disregarding it. This was the item I went in to buy, and overall so far I'm so impressed! Adding texture to my hair without leaving my hair greasy or sticky! ?...yes products do this to my hair! I'm extremely happy I found this product and thank everyone who suggested it to me. 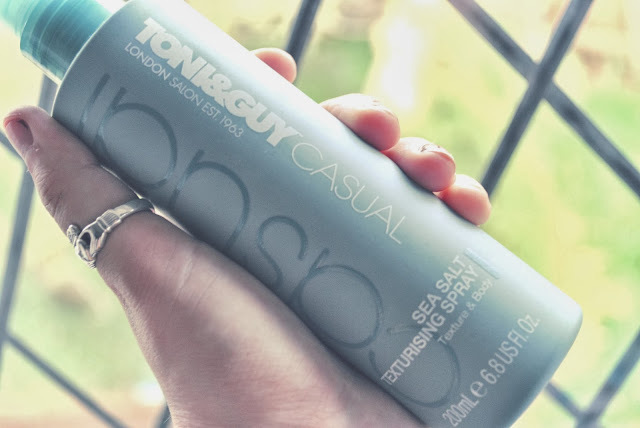 This spray does the trick of giving my hair volume and texture and is a great way to get a simple style. I love it the most when curling my hair, as I only need to curl my hair a little (less heat is so much healthier) then spray this and scrunch my hair to give it more of a boost, and it helps hold my hair style too! I'm completely addicted at the moment to finding more hair products to try, so if anyone has any more suggestions I'd love to hear them. I loveee the photo's you've taken, I love Aussie leave-in conditioner spray and Charles Worthington hair serum is great too :) great post, followed. I've had the leave-in conditioner before, I think I need to give it another try...anything to get my hair back in good condition too!